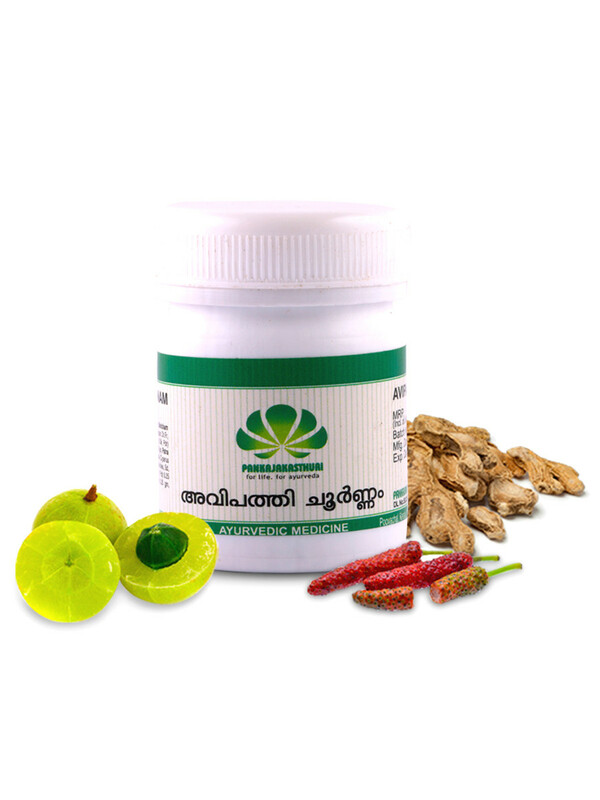 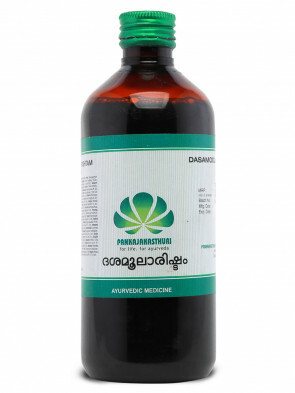 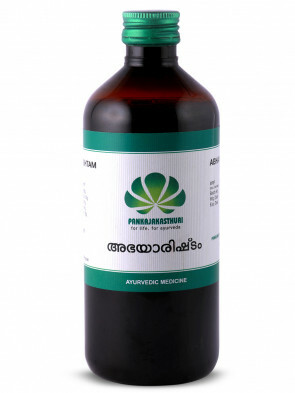 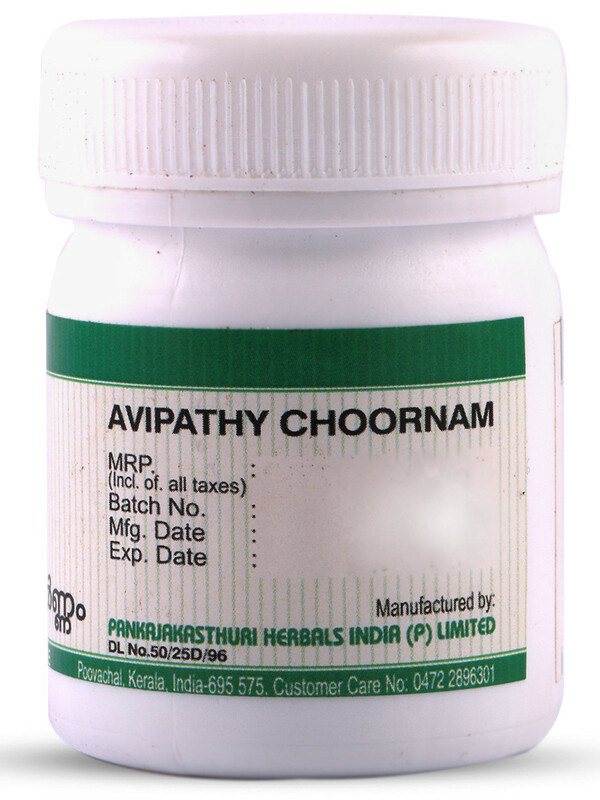 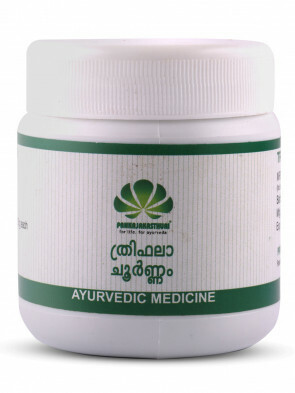 * Avipathy choornam is a widely used Ayurvedic herbal powder for safe and effective purgation. 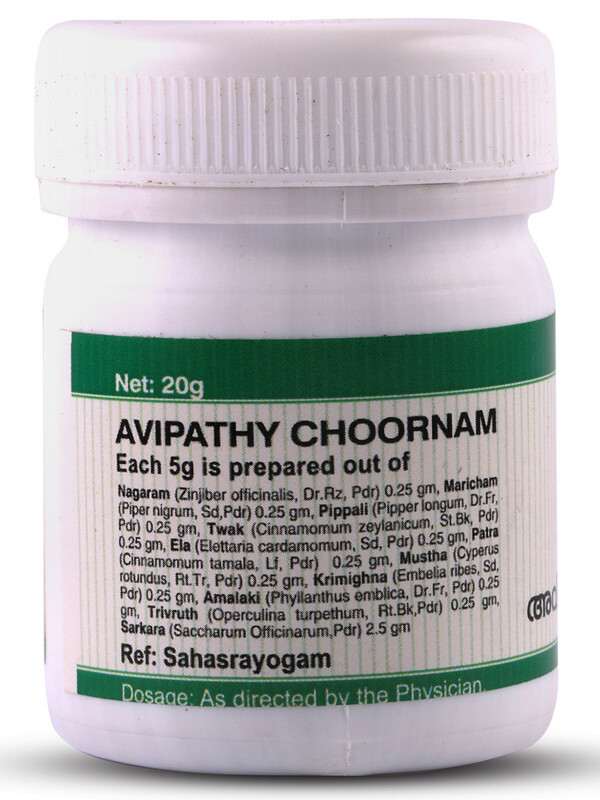 * It is the safest laxative for constipation, and is inndicated in Pitha disorders including Liver diseases. 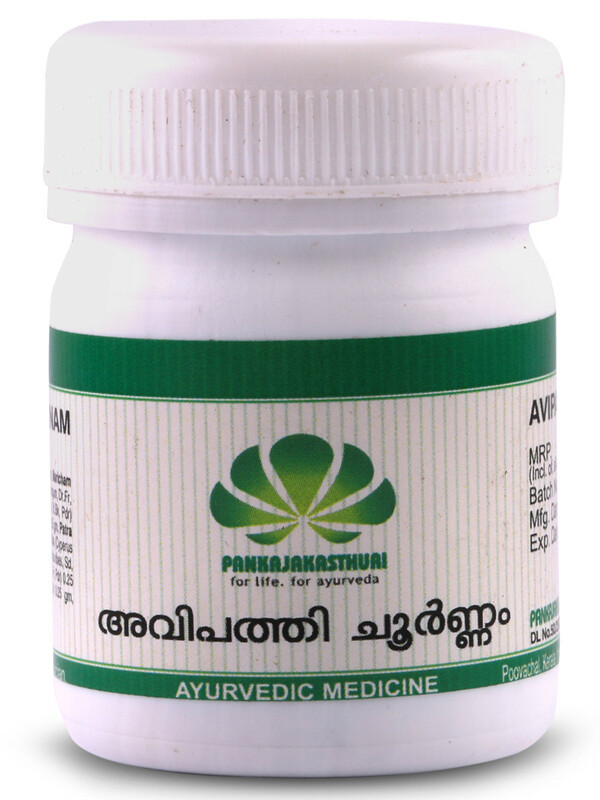 15 gm at 5 am or as directed by the physician.